This story originally ran in the March 28th, 2019 issue of Travelweek magazine. To get Travelweek delivered to your agency for free, subscribe here. TORONTO — Any time a country or region imposes any sort of visa stipulation – even if it’s a waiver – the travel industry sighs a collective groan, knowing the obstacles and headaches to come. The fine art of closing the sale on a client’s booking can be challenging enough without visa requirements and fees getting in the way. So it’s with no small amount of trepidation that agents and tour ops selling Europe are keeping an eye on the EU’s ETIAS. Canadians are part of the ETIAS visa waiver program but there will still be an application process, and a fee. The last thing this industry needs is a reason for clients to say ‘no thanks’ to booking a trip – especially when the destination is ever-popular Europe. And it’s not just suppliers and retailers who feel that way. The Canadian Chapter of the European Travel Commission (ETC) has pushed back against ETIAS, saying that while safe travel considerations are paramount, ETIAS and the visa waiver program could hurt tourism. The ETC wants further visa liberalization and a more traveller-friendly approach to mitigate economic impact, she adds. So what is the ETIAS and the visa waiver program, and how will it affect your Europe-bound clients? Starting in 2021, just over a year and a half away, Canadians travelling to Europe will need to apply for an ETIAS visa waiver in order to enter any of the 26 European Schengen Area countries that don’t already require a visa. The Schengen Zone includes France, Germany, Italy and 23 more top destinations for Europe-bound clients. ETIAS (European Travel Information and Authorization System) is the EU’s initiative aimed at cracking down on illegal immigration and safeguarding against terrorist attacks. Given the spate of attacks in Europe and other parts of the world over the past several years, it’s not hard to see why the EU would bring in something like ETIAS. For the travel industry, hearing “But is it safe?” again and again from clients heading to Europe, there are upsides. However there will be a process for Canadians to apply for the ETIAS visa waiver to travel to Europe, and there’s also a cost involved. Canadians will apply for their ETIAS visa waiver online. 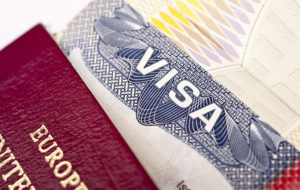 Welch adds that the validity of the travel authorization will be 3 years, or until the expiry date of the travel document registered in the application. Applications will be checked against EU and Interpol databases and the like. In just about all cases, authorization will be issued automatically, says Welch. And what about the fee? Canadians must also pay a fee of 7 euros (about Cdn$11) in advance via a secure credit card or debit card, for all applicants above the age of 18. Once approved, the ETIAS travel authorization will be sent via email. The messaging from the travel industry, she adds, should be that ETIAS aims to increase consumer confidence in safety and borderless travel in Europe. On a final note, anyone who sells New Zealand should know that Canadians travelling to that country are facing a visa waiver situation as well. eTA New Zealand comes into effect this July and will be obligatory for citizens of visa waiver countries (including Canada) by October. As with Europe’s ETIAS visa waiver, New Zealand’s eTA will be online, and will require a processing fee. The eTA will be valid for 2 years but will be required even if a client is just transiting through New Zealand.